A recent car accident on the Massachusetts Turnpike took the lives of two and injured three. Massachusetts state police report that a 6-year-old was fatally injured when a van, driven by a 25-year-old female, smashed into a box truck and was thrown into the breakdown lane of the Turnpike. It then hit the guardrail, passed over three lanes of traffic, hit the center guardrail, flipped over and came to a rest on its roof in the center of the highway. A 6-year-old passenger was thrown from the van during the collision, according to The Republican. The driver and two 4-year-old girls were transported to UMass Memorial Medical Center in Worcester. The driver of the truck was not injured in the accident. The westbound lanes of the Turnpike were closed for the Collision Analysis and Reconstruction Section to conduct an investigation and for cleanup. Investigators are focusing on whether or not the 6-year-old was properly belted during the accident. Traffic was rerouted in Auburn at exit 10. Traffic was backed up for about 10 miles as a result of the accident. Our Boston car accident attorneys understand that traffic can be hectic at times on the Turnpike. In addition to safe driving habits, making sure that all passengers are properly restrained is one of the most important steps someone can take to ensure occupant safety. To help ensure the safety of child passengers, the National Highway Traffic Safety Administration recently released a new set of recommendations for buckling up your little ones. -Children should remain in each child seat until they meet the manufacturer’s height and weight limits. -Keep children in rear-facing car seats as long as possible. These seats help to support a child’s head, neck and spine in the event of an accident. -Read instruction manuals to learn how to properly install the car seat by using either the seat belt or the LATCH system. -All passengers under the age of 13 should ride in the back seat. -Never place a child that is using a rear-facing car seat in front of an active air bag. -Children should be seated in booster seats until they’re at least 13-years-old or are at least 4-foot-6. “Selecting the right seat for your child can be a challenge for many parents. NHTSA’s new revised guidelines will help consumers pick the appropriate seat for their child,” said NHTSA Administrator David Strickland. Another important factor we would like to point out in the accident is the fact that is rolled and came to a rest on its roof. Although safe driving advocates have done much research on the likelihood of rollover accidents on a number of cars, there are tips you can follow if your vehicle is one of ones that is more susceptible to these types of accidents. -Steer clear of conditions that could cause you to lose control of your vehicle, including drowsy driving, intoxicated driving and speeding. -Be extra careful on rural roads. -Keep an eye on your tires. Make sure that they’re properly inflated and not worn. -Be cautious when loading you vehicle. The more weight your vehicle is carrying, the less stable it becomes. The Boston car accidents attorneys at the Law Offices of Jeffrey S. Glassman, LLC understand that being involved in a serious or fatal Massachusetts traffic accident can be among the most trying experiences of a lifetime. 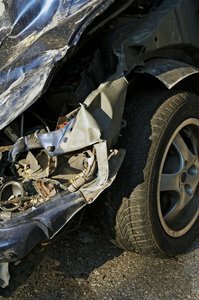 If you or a loved one has been injured in a Boston car accident, we can help. You can schedule a free initial consultation, by contacting us online or calling our offices at 1-877-617-5333.